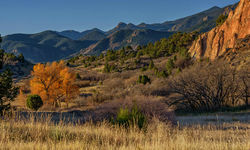 Colorado is the state where the Rocky Mountains rise out of the Great Plains like alpine titans. 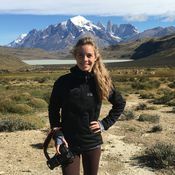 This epic year-round luxury holiday destination is home to glacial lakes bordered by wildflower meadows, eerily deserted gold rush ghost towns, snow-covered peaks and crystal-clear rivers. There's no denying it, the scenery is drop-dead spectacular. Summer (for school holidays and swimming in marginally less cold glacial lakes) and winter (for skiing in two of North America's best resorts) may be the most popular times to visit, but an autumn colour palette to rival New England's and some of the prettiest spring-time vistas we know make this a road trip-worthy destination at almost any time of year. Most Colorado holidays start in Denver. 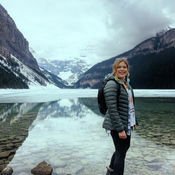 Once no more than a city with a handily located international airport, the so-called Mile High City has since become a must-visit urban centre with strong neighbourhood identities. As a beginner's guide, bearded and man-bunned hipsters tend to congregate in RiNo (River North), while Denver's well-heeled residents head to LoDo (Lower Downtown) for fancy restaurants and cocktail bars. There is also a thriving arts scene and some excellent museums. 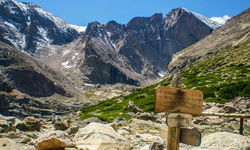 To the west of Colorado are the Rocky Mountains, which run 3,000 miles all the way from British Columbia to New Mexico. 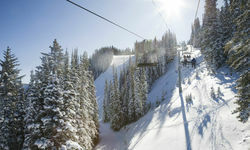 For much of the year, the mountains lie under a thick carpet of snow and play host to America's most luxurious ski resorts, Aspen and Vail. The two towns are home to icing sugar-soft powder and sky the colour of a Bombay Sapphire bottle, not to mention pistes for skiers of all abilities (even those who ditch the skis after one run and pick up a toboggan instead) and some seriously swanky apres-ski action. 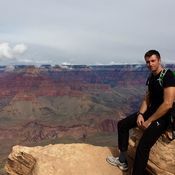 Serious backcountry (off piste in US skiing parlance) skiers can take on pine-forest pistes, open bowls and World Cup training runs, not to mention epic cross-country and heli-skiing options. 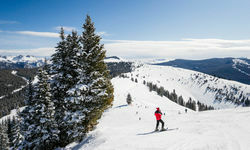 Non-skiers can indulge in spa treatment and scrumptious food to their hearts' content. 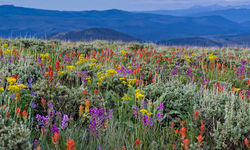 Come late spring and summer, the Rocky Mountains become a sea of wildflower meadows peppered with Gold Rush ghost mines and one-horse towns where the Stars and Stripes flutters in every front garden. 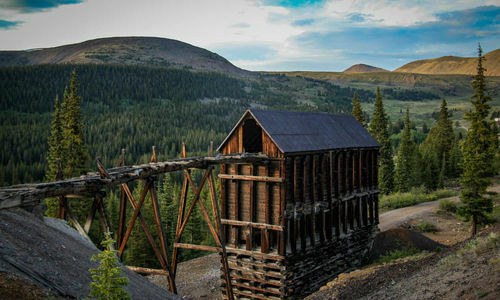 A Colorado road trip taking in Gold Rush settlements - Dunton Hot Springs is our favourite - and the towns where Butch Cassidy and his crew kicked off their criminal campaign are a must, and there are also plenty of adventures - from white-water rafting to tree-top rollercoasters - on offer. A few hundred miles further south, Mesa Verde National Park's cliff dwellings are shrouded in mystery. 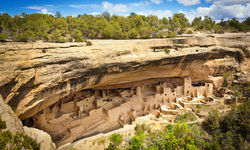 No one knows what made Colorado's first inhabitants disappear some 700 years ago, but visitors will certainly enjoy clambering up and down ladders, exploring the elaborate cliff-dwellings with national park rangers (we'd arrange this in advance) and delving into the mysteries of ancient America through rock art and archaeological sites. 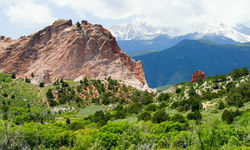 Colorado Springs, just south of Denver, offers fantastic hiking, biking and rock climbing. 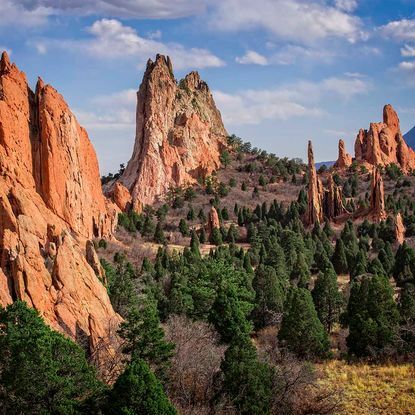 Enjoy stunning views from spots such as the Garden of the Gods and Pikes Peak, or head out on a scenic hike without the crowds at Redrock Canyon. Colorado Springs is also home to the country's Olympic Training Centre, where tours of the practise facilities are available - perfect for sports fanatics.